about the Christmas Novena I prayed last year. Last year I was involved in a law suit over some property I sold from my father's estate. Just defending myself in the suit was very, very expensive and financially painful. So last year for my Christmas Novena I prayed a lot of things- I prayed that the plaintiff's heart would change and he would drop the case, or that it would be settled without a trial, but mostly I prayed that I would only have to pay $200 more and then be done with it! January came, along with a legal bill for $712.50, and with the news that we were indeed going to trial. My heart sank. But later that month I got a call from my attorney. The attorney for my co-defendent wanted her to sit at the trial as his second chair, and if the title company was okay with that, they would cover all of her fees. The trial was in February, and we're still waiting for the final rulings on that. But sometime in March, it occurred to me - my novena really hadtruly been answered. My half of that $712.50 was only $356.25 - just a little bit over my requested $200. But more importantly, the charges incurred at trial and post-trial came to a whopping $31,000, and I didn't have to pay a dime of it! I'm chagrined that it took me a couple of months to realize that my fervent prayers at Christmas time had indeed been answered - just not in a way that I had expected or foreseen. the prayers for this Christmas. This year using my Christmas Novena to focus like a laser beam for the welfare of one of my children in particular. "the Son of God was born of the most pure Virgin Mary, at midnight, in Bethlehem, in the piercing cold." I was very surprised that I knew the Christmas novena words by heart, although I muddled the ending a little bit. Rosie practicing her piano- she has been asked to play for the big Children's Mass on Christmas Eve. This is a big honor for her. She will also sing for midnight mass with the choir. My mother will be very pleased that the family's musical liturgical connection remains intact. 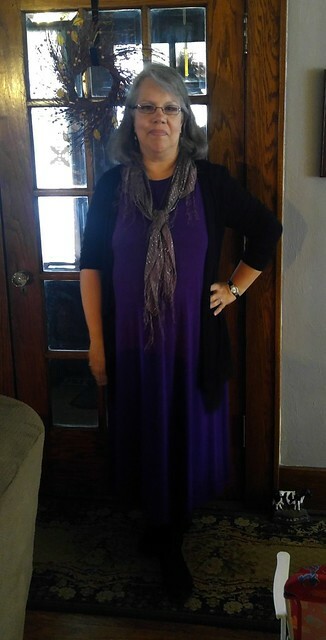 Dress from eBay, black cardigan from JC Penney, and the purple scarf belonged to my late sister-in-law, Irene. 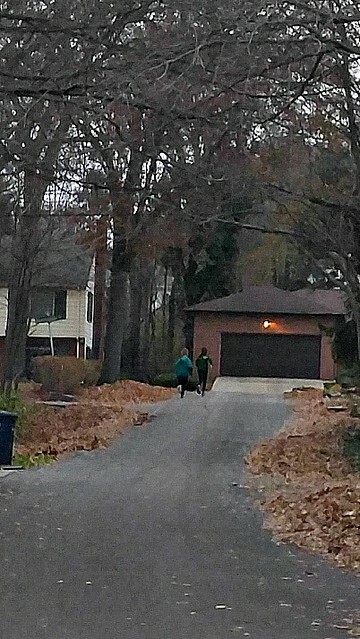 to walk or work out every day with Pfilates - moving slowly back to basement workouts as the weather gets colder. to continue praying throughout Advent. Heavy duty flute practice and rehearsals. Start sending out my Christmas cards. 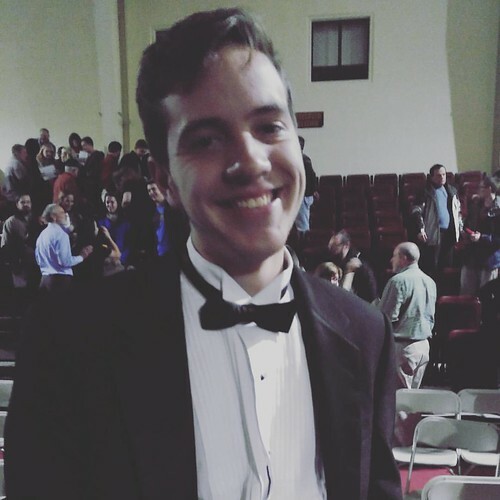 Noah in his concert tux for choir. I am teaching the class for co-op next semester. A variety of literature books - Reading a Tail of Two Cities currently. Izzy earned an A- for her speech class at co-op! She was very happy about that. I'm hoping she will use this new skill to give her witness to the confirmation class this year. Rawlings, Marjorie Kinnan. The Yearling (Aladdin Classics) (p. 154). Aladdin. Kindle Edition. I was delighted to read your little account of how your prayer was answered. I'm so grateful for those answered prayers. The Lord is a good Father to his children. I pray it will be a beautiful and blessed Advent as a new week begins. Thanks for the reminder about answered prayers. How wonderful it is to tell and retell such stories, as they encourage us to more fervency.